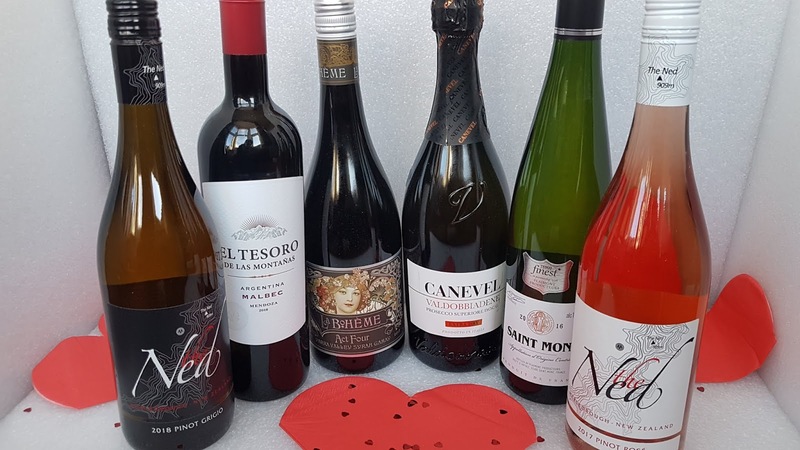 Need Gift Ideas for Valentine's Day? Check Out My Gift Guide for Ideas. Every Valentines Day's the same for me, I forget it's coming, I panic, and then I struggle to find the perfect gift at the last minute so this year I've found a few ideas to help us all out. Some of my Gift Ideas are a little 'different' but different is good sometimes. 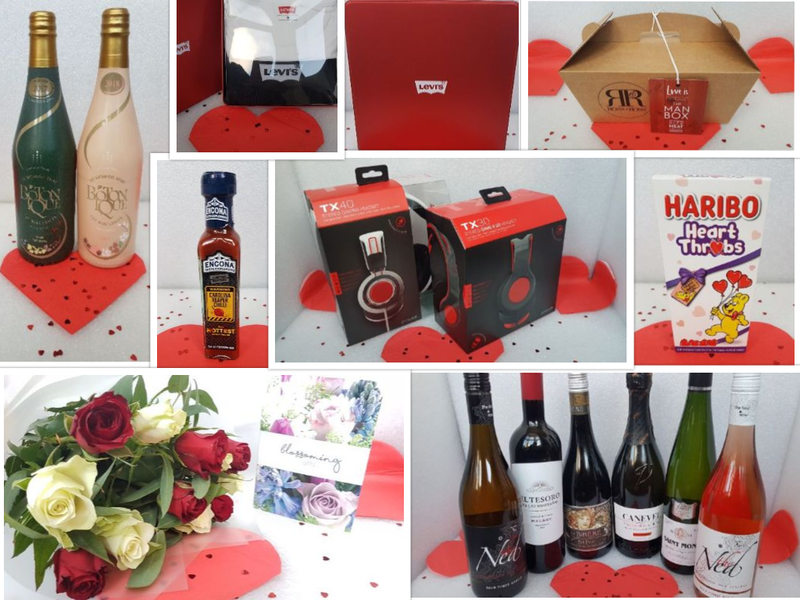 I've found some low budget sweet treats and chocolates, more traditional gifts like flowers, some food and drinks for the foodies and some extra little, higher budget treats for the Men in our lives. The Ned Pinot Grigio 2018, New Zealand from Majestic £10.99. El Tesoro de las Montañas 2016, Argentina from Ocado £8.99. La Boheme Act 4 Syrah Gamay 2017, Australia from Oxford Wine £14.99. Canevel Valdobbiadene Prosecco Superiore DOCG, Italy from Oakham Wines £17.95. Tesco Finest Saint Mont 2016, France from Tesco £6.00. The Ned Pinot Rosé 2017, New Zealand from Majestic £12.99. 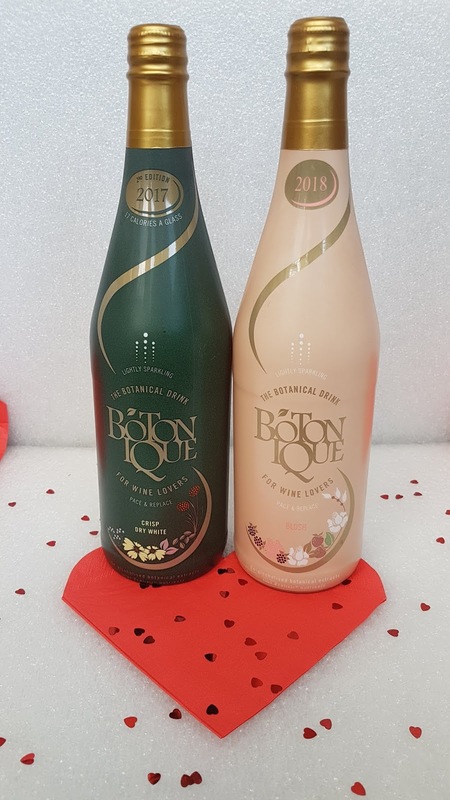 For the Non Alcoholic drinkers this Valentine's Day, I have an alcohol-free brand called Botonique which is a unique British-made, natural, dry, sparkling non-alcoholic drink which is available in both an original and blush.Prices start from £15 for 2 x 750ml bottles. For the Sweetie lovers I have the HARIBO Heart Throbs Gift Box which come in two sizes, 140g and 380g's. Filled with pretty jelly and foam hearts, this cute gift box is the perfect present for the sweet lover in your life. 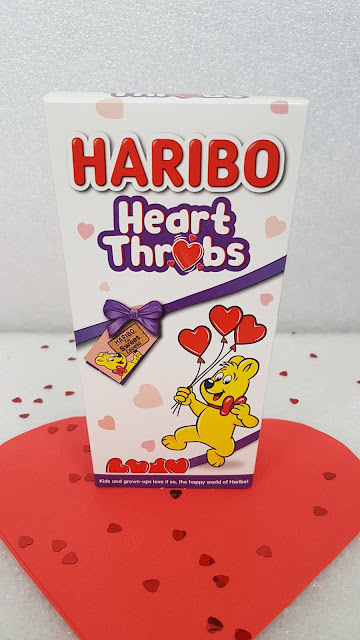 How about some Heart Throbs for your Heart Throb? 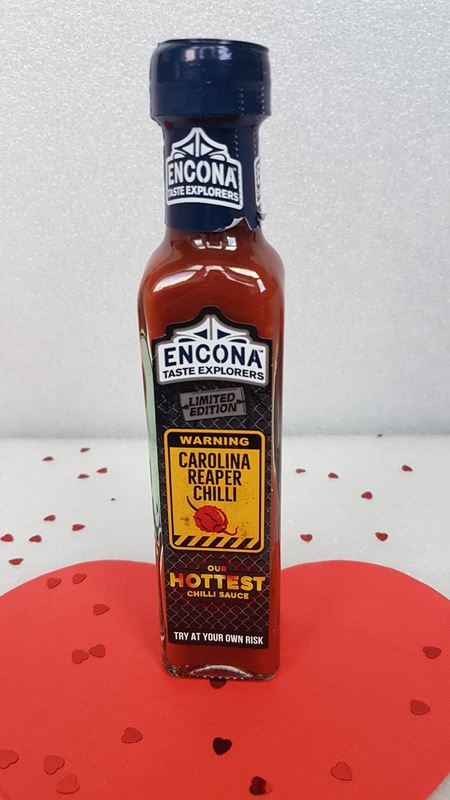 For the food lovers, how about spicing your Valentine's Day up with a bottle of Encona’s Limited Edition Carolina Reaper Chilli Sauce - the perfect gift for fiery lovers. It's a sauce not the faint hearted as it's proper spicy stuff but if your partner loves spicy, then they'll love this. 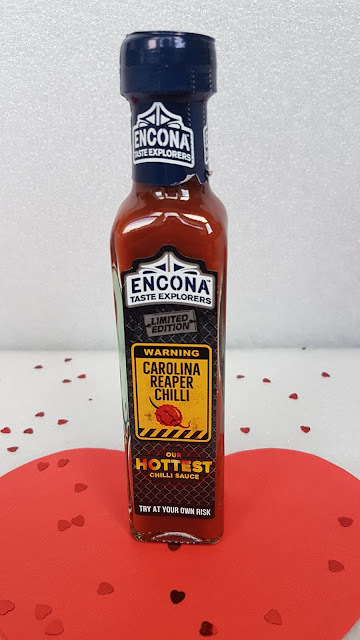 It's Encona's Hottest Sauce yet and has a warning on the bottle to 'Try at your own Risk'. 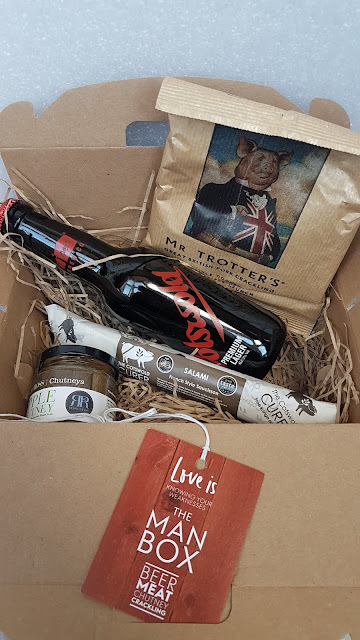 For the Meat Eaters in your life, I have something a little but quirky, The Man Box which is a cute little gift box full of delicious, British artisan snacks and a beer! It includes some chutney, pork crackling, salami and lager. Priced at £22 it's definitely something different. This is one my man would like as it's full of wonderful little treats for the V Day evening. 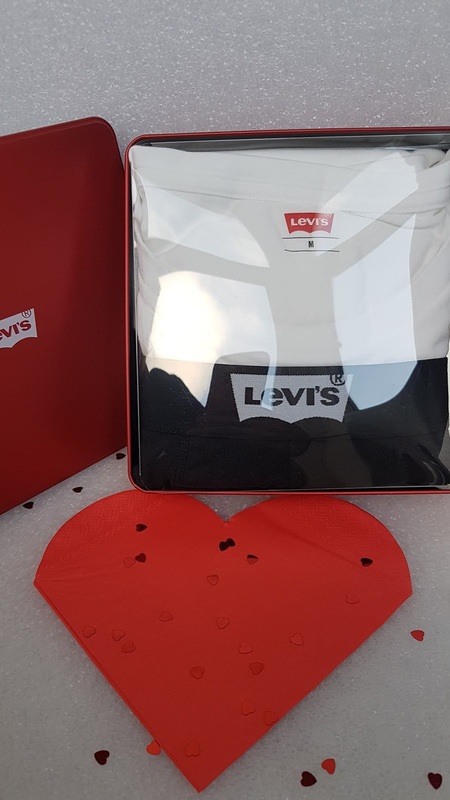 If you're looking for something special to wear, I have the Levis T Shirt and Boxers Set from Mainline menswear which have lots of other great Valentine's Day gift ideas too. This gift set costs £30 which is my most expensive gift in my guide but it's still not too expensive. You can't go wrong with a plain white T shift and classic Black Boxers really and with the Levi name attached, the guy in your life will feel really spoilt. It comes in a nice tin too. 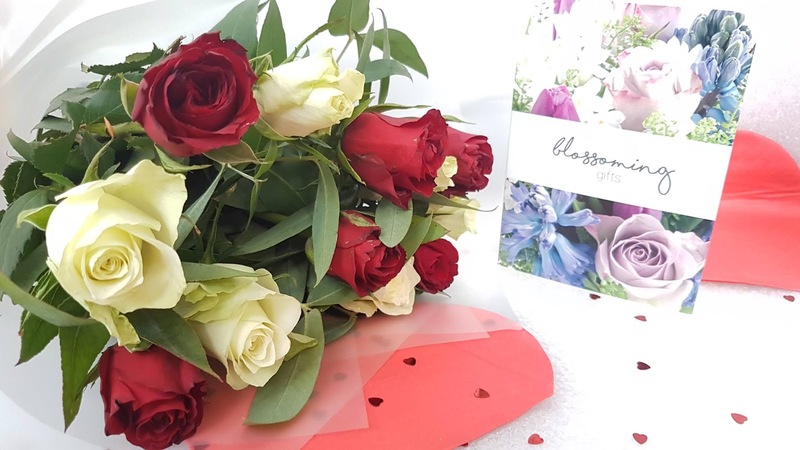 For a more traditional gift, how about 12 Red & White Roses from Blossoming Gifts. Every lady loves flowers and these ones are beautiful. Prices start from £19.99 so they're reasonably priced for a nice gift this Valentine's Day and sure to bring a smile to anyone's face. I know I'd be happy if these were delivered to my door on the big day, they're stunning. 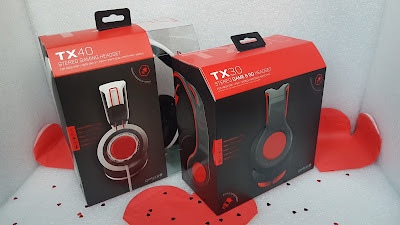 Last but not least I have the GioTeck TX Headsets for the Gamers or Music lovers in your life. Compatible with all major gaming and mobile devices, these headphones would make a really useful gift. Gioteck's new TX Range is built for a demanding new generation of gamers and music lovers. One year in research & development, all TX headsets deliver an impeccable blend of features, quality and design and best of all, they're affordable too. The GioTeck TX-40 Headset in white/red is available now for £24.99 at Argos. The GioTeck TX-30 Headset in red is available now for £19.99 at Argos. I hope my Gift Guide inspires you and helps you find your perfect gift this year. Disclosure: I received samples in return for honest reviews and inclusion in my Gift Guide but each gift has been hand picked and approved by me to only include the best. 2019 and Our Plans for the Year ahead.